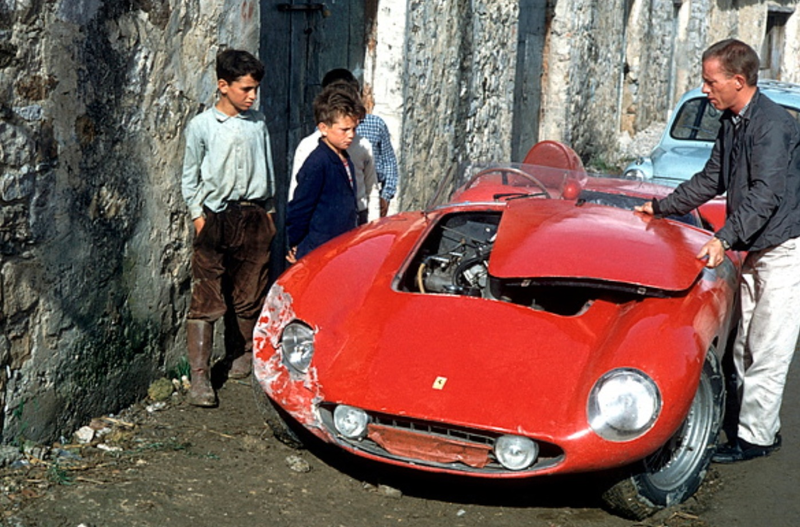 The local kiddo’s are either surveying the scene with sympathy or thinking about what they can liberate from Enzo’s nice, new red car! In fact the shot is a bit of a mystery upon doing a bit more research. The Ferrari drivers were reshuffled after several accidents in practice of which this seems to be one as it isn’t the car in which Richie started the race with Cliff Allison. That was the #202 de-Dion rear axled TR59/60 pictured below; and in which Richie went off line passing a car and smote a tree a fatal blow for the car on lap 5. 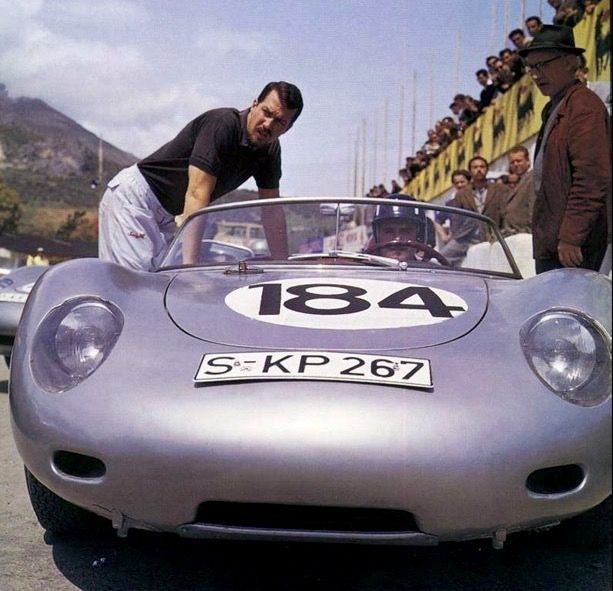 Allison himself had a huge ‘character building’ accident in practice when a tyre failed in the Ferrari TRI/60 (independent rear suspension Testa Rossa) he was scheduled to share with Phil Hill. 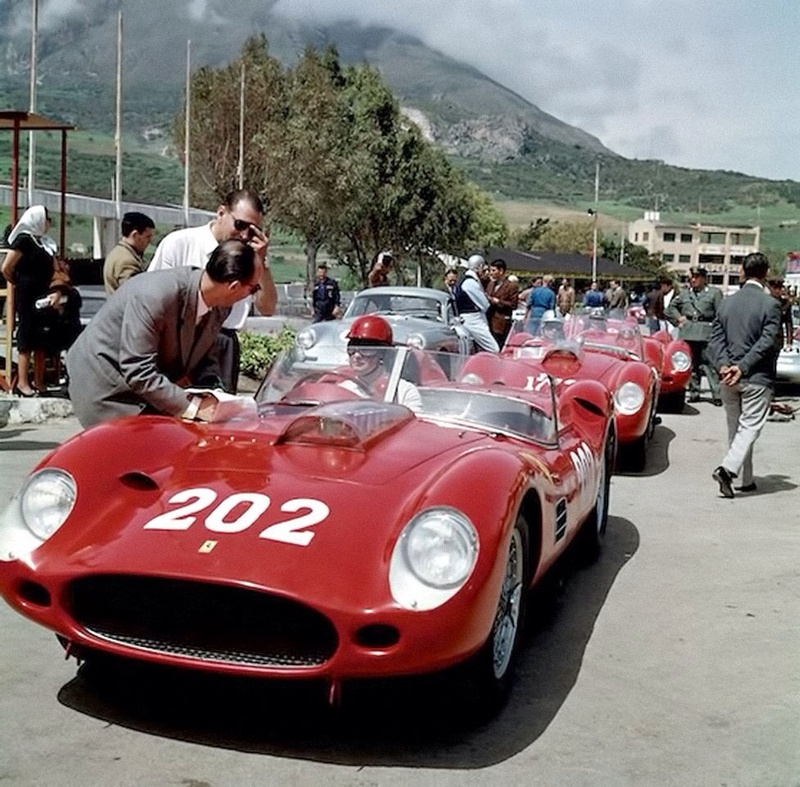 So, the question is what model Ferrari is the one pictured at the articles outset? It looks as if it may have side-draft Webers, is it an old Monza ‘praps? One for you Ferrari experts.